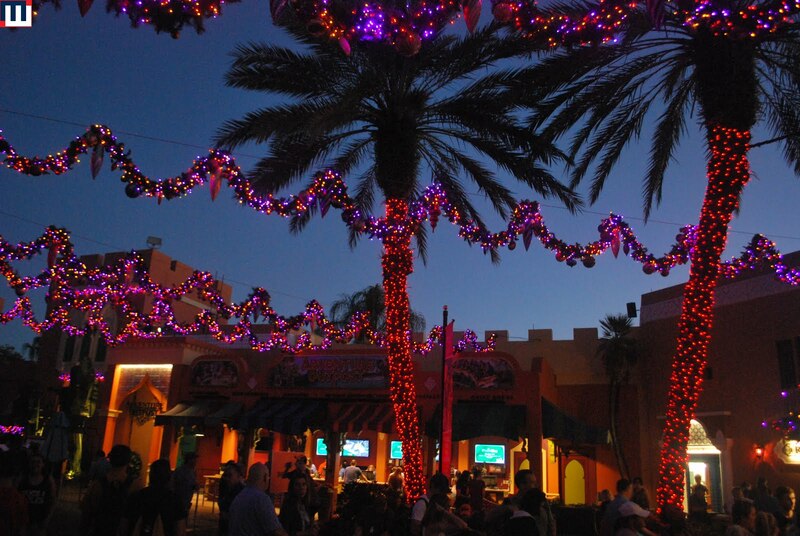 Welcome to Busch Gardens Tampa. It's actually been a few years since I've been here. They've added several new thrill rides including this crazy "face-first" drop tower called Falcon's Fury. Scorpion is a classic Schwarzkopf looper. The coaster features a lap bar only restraint which adds to the thrill. Sand Serpent is the park's wild mouse coaster. The park has a pretty nice carousel in this area as well. At the back of the park is a really good B&M looper. 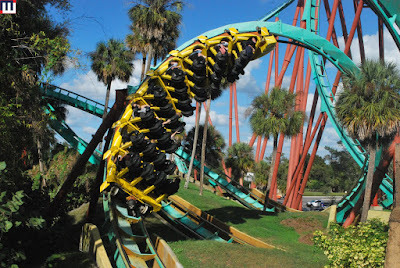 KUMBA might be one of the older coasters at the park, but it is still a great ride. The park also has some animal exhibits. The Tigers are always fun to watch. The orangutan was busy posing today as he ate. 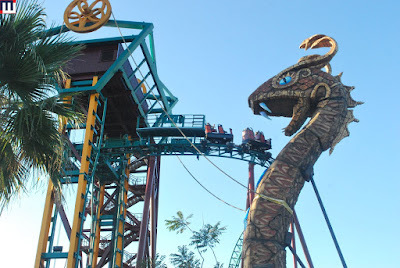 The oldest dive coaster in the USA, but still the best. 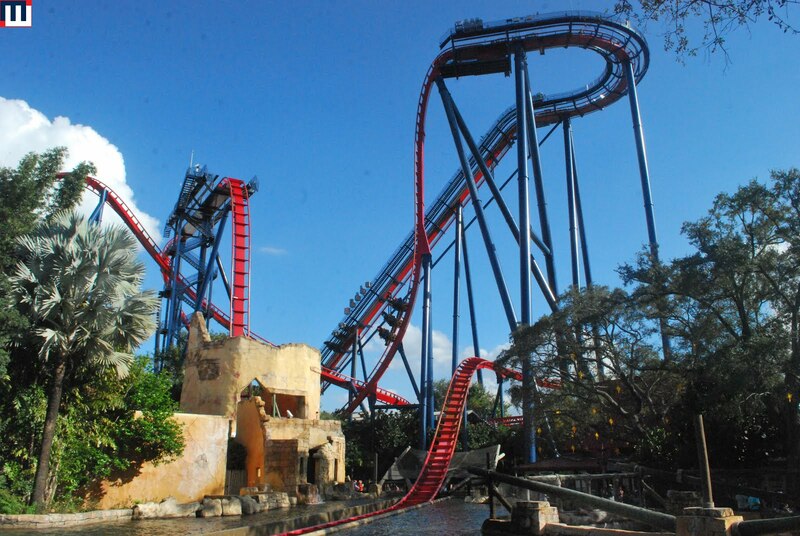 SheiKra is the most themed dive coaster over here so far. The splash pool finale is a great visual. A very popular ride today was the Sky Ride. It is a great scenic ride from one side of the park. I wish there were a few more animals underneath like there used to be. One cool thing about the Sky Ride is how it interacts with our next coaster. Cheetah Hunt. An Intamin multi-launch coaster. This is by far the best coaster in the park. It's not overly intense by any means - it's just fun. The new coaster for this year is Cobra's Curse. This slow loading coaster is fun once you get on it. Here you can see the elevator lift that empties the carts on a swooping curve near the snake god statue. 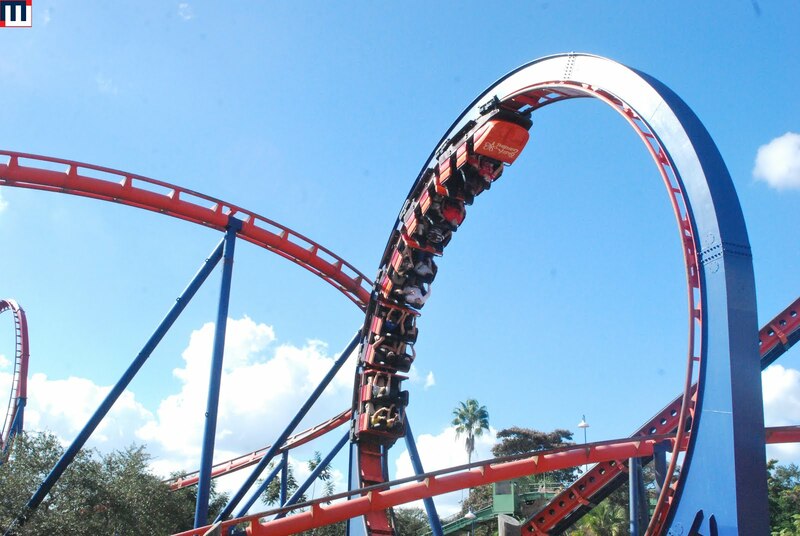 The coaster features three sections. Facing forward, facing backwards and then a "free spin" section. Honestly I was a little underwhelmed by it. It sure wasn't worth the long wait time. Possibly the best inverted coaster in the USA - MONTU. The best part of this ride is all of the sub-terrain tunnels and ravines. The train ride was very popular today. Most of the park's decorations for "Christmas Town" can be found at the front of the park. We had a decent time at Busch Gardens today. The park has some great rides.